Thank you for your interest in Czech German Shepherds! This article is nearly all-inclusive of the most important introductory information you will need to know about a Czech German Shepherd. You may be wondering what the differences are between all the types of German Shepherds and we are here to tell you! This article, however, focuses on one type so you can learn the history of the Czech German Shepherd, how it compares to other types of German Shepherds, what to look for in a breeder of Czech German Shepherds, and of course the appearance, grooming, temperament, exercise, training, feeding, and health issues of the Czech German Shepherd. Please keep in mind this is article is not a replacement for visits to a veterinarian, nor are we veterinarians who can provide definite medical advice. Please conduct further research after this introductory article so you are fully educated on the breed before your purchase or adopt. The Czech German Shepherd bloodlines originate in communist Czechoslovakia in 1899 as government working dogs for the border control arm of the Czech Army – the Pohranichi Straze. Breeding of the Czech German Shepherd began in a single kennel in 1955 when Max von Stephanitz saw Horand von Grafrath – the first officially registered German Shepherd – at a dog show and decided he had the best qualities to be a working dog. The border control arm of the Czech Army managed the kennel where the Czech German Shepherds were bred to protect the country’s borders. The dogs were mainly bred from DDR German Shepherds (also known as East German Shepherds) with characteristics of strong nerves, masculinity, working potential, loyalty, intelligence, and dark coloration. The DDR German Shepherds and Czech German Shepherds have very similar bloodlines due to Czechoslovakia and East Germany both falling under the former Soviet Bloc; however, the two breeds are not the same, even though they are often referred to as each other. While the Czech German Shepherd is a relatively new breed, they have become quite popular very quickly around the world. Modern breeding of the bloodlines is not as heavily regulated, so Czech German Shepherds are often bred to be more docile family pets than energetic and highly-focused working dogs. These modern Czech Shepherds still require daily exercise, but are happy to relax at home and play with toys. All current German Shepherd dogs can be traced back to the Thuringian, the Wurttemberg Sheep Dog, and the Swabian Service Dog. Von Ultimate Kennels created a bloodline chart that shows all German Shepherds tracing back to the Thuringian dogs. These German Shepherd lines began in Germany and Europe and spread to the United States and Canada, where they split into working lines and show lines. Show lines of German Shepherds are bred for their appearance along with certifications in hip and elbow strength, a stable temperament, and working ability. Working lines are not necessarily bred for appearance, but more for their focus on the ability to work, their stamina, and their comfort levels of working in fields. Today, German Shepherd Dogs are bred across family lines and across completely different breeds of dog. So, if you are looking to purchase a Czech German Shepherd, check with the breeder for a lineage to be sure you are getting a pure Czech Shepherd. As stated earlier, Czech German Shepherds are often referred to as East German Shepherds (or DDR German Shepherds). While the two types are very similar, they do have their differences. The origins of the East German Shepherd date back to East Germany while Czech German Shepherds are from the German/Czech border. East German Shepherds have a darker pigmentation in the fur than Czech German Shepherds. East German Shepherds are smaller, lighter in weight, and not as muscular. East German Shepherds were highly overlooked as a bloodline after the inner border fell in Germany while Czech German Shepherds were readily bred for border protection. The Belgian Malinois is another type of German Shepherd that is originally from the city of Malines in the Northwest region of Belgium. These dogs were bred for herding instead of border protection. The appearance of the Belgian Malinois differs from the Czech German Shepherd in that the head is blacker while the rest of the body is tanner. The black ears and mask reveal bright, questioning eyes. The Belgian Sheepdog is quite similar to the temperament of the Belgian Malinois, but differs mainly in its appearance. It is also a herding dog built for work but also craves human companionship. The Belgian Sheepdog, however, is all black in pigmentation with long fur. The Dutch German Shepherd differs mostly in its appearance from other German Shepherd types. The coat is similar to the Czech German Shepherd with a Sable coloration but with darker pigmentation and longer fur. It is said the Dutch Shepherd greatly resembles that of a wolf. Not to worry, though, the breed is still a loyal companion who is suitable for working, herding, search and rescue, obedience, sports and agility, and police work. The Dutch Shepherd is very independent and can have a mind of its own. Breeders should test for thyroid problems in the long-coated types and gonio dysplasia in the rough-coated types. The breed is originally from the Netherlands and is not widely known around the world, as compared to the German Shepherd breed in general. The American German Shepherd is widely bred for show with a focus on appearance instead of working ability. The hind legs bend more and the torso is more angled from front to back. American German Shepherds are known for being elegant with a graceful walk and giving exceptional performances in the show ring. They are one of the most popular dog breeds in the United States. When comparing all German Shepherd Dog breeds, they are very similar in temperament, size, energy level, intelligence, work ethic, grooming needs, diet, potential health issues, and lifespan. The main difference is in the coloration of the fur. Some German Shepherd types can be black and tan with a saddle while others (like the Czech German Shepherd) are sable in color. German Shepherd types can also be black and silver, black and red (also called liver), all black, and all white. The Czech German Shepherd possesses the typical facial features of the ordinary German Shepherd Dog – strong jaw, upright and pointed ears, and a thick head. While considered a large breed, the general size of the breed type may be smaller with males reaching 24” to 26” at the shoulder and 66 to 68 pounds, while females grow to be 22” to 24” and 49 to 71 pounds. Puppies will grow until they are 12 months old. An overall dense appearance makes the Czech German Shepherd look significant and powerful. They have a strong jaw and body for catching criminals when they were originally bred is Czechoslovakia. They stand on thick paws with a deep chest. As for coloration, Czech German Shepherds have a Sable coat (also called Agouti), meaning they have small patches of tan, cream, or red around the feet and legs with black or banded fur tips over most of the body. This pigmentation gives the dogs a mostly black appearance. Their colors are more uniform as compared to the black and tan saddle markings of the American German Shepherd show lines. Colors run from black to dark brown to a wolfish gray. The Czech German Shepherd sheds a lot – more so during seasonal changes. You may notice “tumble weeds” of fur when winter turns to spring and when summer turns to fall. Therefore, Czech German Shepherds should be brushed at least twice per week. A daily brushing is best for coat health and control of lose fur in the house. Czech German Shepherds do not require professional grooming but they may benefit from a bath when they’ve gotten into a dirty situation. The oil in their skin will protect their coat for the most part, but caked on mud (or other debris) should be washed out. We recommend using canine shampoo to accommodate their natural skin oil, but it would be best to check with a veterinarian for the best-suited shampoo for your dog. 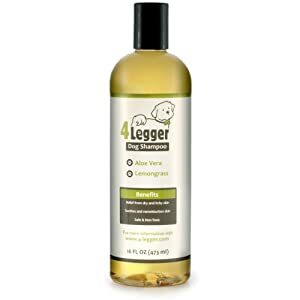 Certified Organic Dog Shampoo, good for Normal, Dry, Itchy or Allergy Sensitive Skin. Czech German Shepherds should have their teeth brushed once per week. 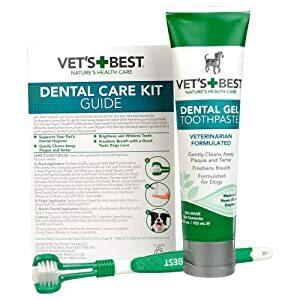 While their favorite chew toys may help with keeping tartar away, canine toothpaste can help keep tooth rot and gingivitis away in their older years. As much as the dog may not like it, you should teach your dog to have its teeth brushed from the age of a puppy. The younger you start brushing their teeth, the better off they’ll be when they get older. Clipping the nails of a Czech German Shepherd may be necessary. If the dog gets regular walks on blacktop or concrete, the nails may stay worn down enough that clipping is not necessary. 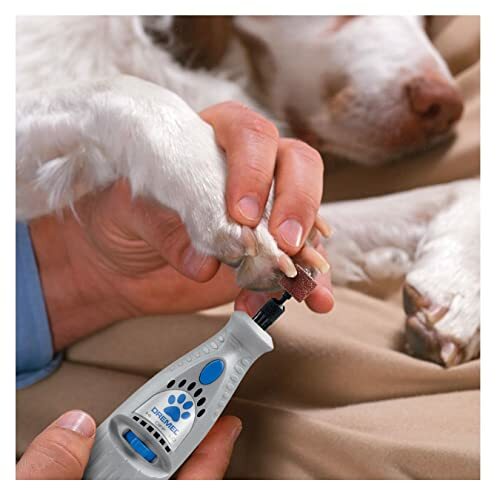 A veterinarian can be a good guide of how often your dog’s nails need clipped and which products may be best suited for you. If a nail clipper doesn’t suit you, perhaps a nail file would work better. If nails are left unclipped for too long, nails can curl under the dog’s foot, making it difficult and painful to walk or run. Czech German Shepherds are known for having minor ear issues over their lifetimes, so carefully and gently checking and cleaning ears may be necessary. Check for signs of excessive dirt, irritation, or infection. Use a product such as ear wash or ear wipes, or take the dog to the veterinarian if you need assistance cleaning their ears. If dirty ears are left uncleaned, painful infections can develop, causing the dog to constantly scratch his/her ears, rub their ears on the floor, hold their ears at odd angles, and shake their heads in irritation. All German Shepherd types have the same basic temperament. The Czech German Shepherd, like other German Shepherds, is energetic and intelligent. While originally bred for endurance and awareness with a hard edge to their personality, modern Czech German Shepherds are often bred for softer characteristics. Today, they make great family pets who enjoy playing with toys and relaxing in a comfortable home. Czech German Shepherds are calm and easy-going, friendly and willing to cuddle with their owner. Many Czech German Shepherds are great for families with children, but not all dogs may be tolerant of toddlers who pull on ears and fur. Keep a close eye on small children around all dogs. Czech German Shepherds still need daily exercise but do not require an entire day of hard work. A daily walk and some play time with toys are usually enough to burn some energy and keep them from getting anxious and hyperactive. As a dog bred to work throughout the entire day, showing full stamina, endurance, and agility, the Czech German Shepherd requires no less than 30 to 60 minutes of physical activity each day. The breed needs an active owner if not being used for working purposes. Physical activity can include walking, running, and playing in the backyard with toys. Fetch toys and discs can be a great way to get exercise in the backyard. While indoors, a Czech German Shepherd may enjoy retrieving treats from a stuffable toy. Some dogs may be comfortable in an apartment but the breed generally needs a yard to run and play or access to walks with their owner. Without a way to burn energy, the Czech German Shepherd will become hyperactive, anxious, loud, and destructive. Leashes with 2 handles can help you control a strong puller. 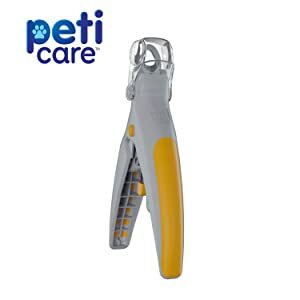 Some leashes feature soft handles for comfort on your hand. Czech German Shepherds are highly-intelligent fast learners who are eager to please. Nearly any person can train a Czech German Shepherd with a little background knowledge and proper training methods. A professional dog trainer may not be necessary with adequate knowledge but it is never a bad idea to invest in a trainer who can train your dog efficiently and effectively. Czech German Shepherds respond best to Positive Reinforcement training. Positive Reinforcement redirects unwanted behaviors toward desired behaviors. For example, if your Czech German Shepherd chews on your shoe, take the shoe from him/her while giving a stern but gentle scolding (No, bad dog), and immediately giving the dog one of his/her own toys, and offering a praise (Good dog!) in a high-pitched voice. If you only remove the shoe and scold, the dog will not know what you want him/her to do instead, so the dog may chew on something else s/he isn’t supposed to chew. By replacing the improper chew toy with the proper chew toy, the dog will remember what is good and continue that behavior. The same goes for jumping, begging, barking, potty training, and so forth. Czech German Shepherds also respond well to the training method called Nothing In Life Is Free (NILIF). This training method teaches dogs that they must ask for what they want – the give and the take. If your dog wants a treat, s/he must first Sit and Shake, then s/he will receive the treat. If your dog wants your attention, s/he must Sit quietly before you pet him/her. NILIF teaches dogs proper manners and patience. If the dog gives an improper behavior – let’s say he jumps on you when he wants your attention – ignore the bad behavior at all costs. Eventually, the dog will realize this behavior does not get him what he wants. Perhaps he will Sit and wonder what else he should try. Perfect timing! When he Sits you can pet him and praise him. He will realize a Sit will get him attention and he is more likely to Sit the next time he wants your attention. As for basic training of commands, the Czech German Shepherd should pick up on them fairly quickly. The main basic commands used with family pets include Sit, Down, Come, Stay, Forward, and sometimes Shake (for when they want a treat!). Throughout this training, you must be patient – once your puppy realizes what you want him to do, he will pick up the commands very quickly. You also must be assertive. Show your puppy that you are the master. Do not be harsh, but use a stern voice. Be consistent. Say the commands in the same stern tone of voice every time. Use the same manners to achieve each command each time you ask. For example, when you are teaching your puppy to Sit, start with the puppy in a standing position and push his back end down until he is sitting, while saying the Sit command. Once the puppy is in the sitting position, praise him/her in a high-pitched voice. Do this every time you ask for a Sit until he gets the clue and sits on his own. Dogs respond well to high-pitched voices because it lets them know you are happy with them. You can say anything to a dog in a high-pitched voice and s/he will think you’re praising them. Anything you say in a low-pitched voice will make the dog think s/he’s done wrong. To teach a Czech German Shepherd to obey the command Down, first you must ask the dog to Sit, and then gently pull his front legs forward until he is lying down. Sternly voice the command Down while doing so. Once the dog is in the Down position, praise him/her in a high-pitched voice. Again, persistence is key. Young dogs are excitable and may think you want to play or simply may not want to obey immediately. Continue giving the Down command and moving the dog into position until s/he understands. The command Come is extremely important to teach a Czech German Shepherd. In the case that your dog would break free from a leash or fence, you want your dog to immediately return to you for safety. You do not want a dog who disobeys and runs away. This is where the Come command comes into play. To teach the Come command, start with your dog a short distance away from you – perhaps only a few steps away. In a high-pitched voice, use their name and the Come command. Fido, Come! Clap your hands or slap your knees for encouragement if need be. Sounding excited will get their attention and make them want to come to you. Upon reaching you, praise the dog in a high-pitched voice and maybe offer them a kibble. Once they know they’ll get praise and a treat when they Come, they will be more willing to obey! Czech German Shepherd owners will also want to teach the Stay command. The Stay command is useful when you want your dog to remain in one place. For example, you may want your dog to Sit in place while you hook up the leash for a walk. Dogs know when it’s time for a walk and tend to get excitable. Putting a leash on a jumping dog is not an easy task. The Stay command works well here because you can teach your Czech German Shepherd to Sit and Stay at the door while you clip the leash onto the collar. This command teaches your dog to have good manners. To teach the Stay command, start by having your dog Sit then holding your hand up like a stop sign about a foot away from their snout. Sternly voice the Stay command while taking a small step backwards, away from your dog. Pause for a moment and if the dog remains sitting, return to him/her and praise with a high-pitched voice. Repeat this until the dog confidently remains sitting. Continue the learning process by taking 2 steps backwards, then 3 steps backwards, and so on until you can walk away from the dog and s/he remains sitting in place. The Forward command transitions your dog from a Sit or standing position to a walking movement. Let’s say your Czech German Shepherd is sitting nicely at the door while you hooked the leash to his collar for a walk. Now you want to signal to your dog that it is time to walk out the door. In this case, you’ll want to open the door while saying Forward in an excited voice. To begin teaching the Forward command, have the dog Sit in a location where there is plenty of room to take a few steps forward. Sternly and excitedly voice the Forward command while sweeping your hand away from you in the direction you want the dog to walk. Use the hand that is not holding the leash so your motions are clear. By sweeping your hand forward, you are signaling to your dog that s/he needs to walk in that direction. Once the dog stands and begins walking, praise him/her in a high-pitched voice. Eventually, you will not need to sweep your hand forward because the dog will recognize the voiced command. Lastly, you may want to teach your Czech German Shepherd to Shake his/her paw for a treat. This command is not mandatory but is merely a fun trick for the pup to learn! Asking for a Sit and a Shake is a perfect example of NILIF training because the dog must perform 2 commands before being rewarded with the treat. The give and the take of this interaction teaches your dog fair trade for what he wants. To teach the Shake command, it is easiest to start your dog in a Sit position. Then simply pick up one paw with your hand like you are shaking hands with a human. Remember to sternly voice the Shake command. Then give the dog a treat and praise him with a high-pitched voice. Since dogs are often food-motivated they often understand this command very quickly. Eventually, you will not have to pick up the dog’s paw when you ask for a Shake. The dog will see or smell that you have a treat and automatically Sit and raise his paw on his own! On piece of advice to help with training a young puppy is to practice the commands in the same area with the same leash every time. For example, always practice in the living room with the blue leash. Your dog will recognize the combination and realize it is time to work and not time to play! If you are dealing with a Czech German Shepherd puppy who likes to jump for attention, put your hand in the puppy’s face and say “No” sternly. By putting your hand up, you are blocking his path to jump on you. The only result is for him to sit or stand still. Both are good behaviors, so at this point you can praise your puppy. If at any point you let your puppy jump on you and you give him attention, he will think it is okay to jump for attention. Consistency is key. Do not let him jump even once. Training should start as soon as you get your Czech German Shepherd puppy. If you wait, bad behaviors may form and it will be more difficult to break them when they are older. Discourage barking, jumping, and chewing immediately. Educate yourself about training before you purchase your Czech German Shepherd puppy. Books are often a great way to learn about basic dog training. Be sure to read books about raising a puppy, as well. The youngest years are the most important. You don’t need to find a complicated training manual, either. A simple book will do just fine. Along with basic commands, it is pertinent that you teach your Czech German Shepherd proper socialization skills. Exposure to social situations is the perfect way to teach your dog good manners with other dogs as well as other people. Exposure to various public places also reduces fear of these public places, loud or strange noises, animals, vehicles, public transportation, traffic, unfamiliar dogs, children, the elderly, and more. Be sure to check if you are allowed to bring your dog to a public place before you enter the establishment. Many pet supply stores allow dogs, which is the perfect opportunity to introduce your Czech German Shepherd to new dogs, different critters, and unfamiliar people. You may need to remind your dog not to jump, not to bark, or not to pull toys off the shelf. Over time, s/he will be well behaved and comfortable in public. The Czech German Shepherd typically eats between 2 and 4 cups of dry dog food per day, split into 2 or 3 meals. For more accurate amounts, check the label on the dog food bag to know how much to feed your dog based on their weight. If you are not sure, ask your veterinarian what the ideal amount of food would be. Be sure to feed your dog only the directed amount of food. While s/he may act hungry all the time, they do not realize that too much food is bad for their health. Too much food will make them overweight, which puts deteriorating pressure on their bones and joints. Hip dysplasia is more likely to set in at a young age in an overweight Czech German Shepherd. Again, if you are not sure, ask your veterinarian about feeding your dog more. In the case that your dog gets more exercise than most dogs, a little extra food may not hurt, but ask a veterinarian first. Czech German Shepherds must eat high-quality dry dog food. Dog food varies by breed, weight, activity level, metabolism, health, and age. If your Czech German Shepherd requires special food for health issues, consult with your veterinarian. Puppies need a different formula than adult dogs. Be sure to read the package carefully and look for dry dog food with natural and nutritional ingredients to feed their active lifestyle, growing bodies, and strong muscles. Access to fresh, clean water on a daily basis is absolutely pertinent. Refill the water bowl 2 or 3 times each day if necessary. Wash the water bowl on a daily basis, too. Water keeps your dog hydrated and healthy with a full coat and a wet nose. Never deny your dog access to water. Czech German Shepherds love treats – there is no doubt about that. But feed treats in moderation. Your dog loves treats because they taste good. Treats taste good because they are full of fat. Too many treats will make your dog overweight. As we said before, an overweight Czech German Shepherd will develop hip dysplasia sooner than a slender dog. Treats are okay for your Czech German Shepherd when you are training. Dogs are food-motivated and will complete a task when they know there is food involved. Using treats for training is highly successful, but keep them in moderation. Use kibbles of food for training if you feel your dog may be getting too many treats. Do not feed your Czech German Shepherd any human food. He may love that morsel of steak or that piece of cheese, but it is not healthy for him. By feeding him this food, you are teaching him bad behaviors that you will eventually have to redirect. Your Czech Shepherd will begin to think that he can ignore his dry dog food because eventually he’ll get a belly full of delicious human food. And eventually he will not eat his dry dog food at all. Too much human food can cause 3 things in your dog. First, human food can make your dog sick because dogs are not built to digest the harsh spices, chemicals, and preservatives that so much human food contains. Second, your Czech Shepherd will become horribly overweight from all the fat in human foods. Again, an overweight Czech German Shepherd will develop hip dysplasia at a younger age. And third, too much human food could evidently kill your dog. Onions, grapes, raisins, chocolate, avocados, caffeine, salt, and alcohol can all be lethal to a dog. To be safe, do not ever give your Czech German Shepherd human food. Standing bowls benefit Czech German Shepherds by keeping their heads level when they eat or drink. The best way for a dog to eat or drink is when standing up. Food is easier to digest when the dog’s head is level with the rest of his body. These bowls allow a comfortable stance when your dog is eating. For overzealous eaters, a slow feeder may be necessary. When a dog eats too fast, s/he can become bloated and vomit. To avoid bloating, slow feeders force the dog to eat only a few kibbles at a time, thus slowing their eating habits. Some Czech German Shepherds may need a slow feeder for their entire lives while others may grow out of the habit. As is common with all types of German Shepherds, a Czech Shepherd may develop ear infections, eye problems, and hip dysplasia. For a long and healthy life, take your Czech German Shepherd to the veterinarian on a yearly basis and if any symptoms arise. The Czech Shepherd is less likely to develop health issues if they have proper feeding, exercise, and vet visits. With proper care, a Czech German Shepherd can live to be 12 to 15 years old. Ear infections can be managed with careful cleaning of the ears with solutions. The natural ingredients should not irritate your dog’s inner ear, but is strong enough to deter infection. Eye problems can be caught early with regular checkups to the veterinarian or by simply looking your Czech German Shepherd in the eye. If you see weepy eyes or cloudy eyes, visit the veterinarian as soon as possible. 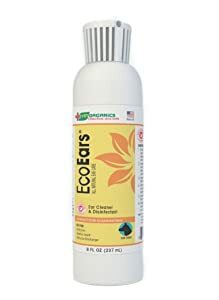 Natural eye wash will wash debris out of the eye by mimicking natural tears. Tear stain removers keep weepy eyes dry. Hip dysplasia is more difficult to prevent in a Czech German Shepherd but you can help ward it off with supplements. These build strong joints over the lifetime of your dog. If hip dysplasia has already set in, hemp supplements may ease the pain and improve quality of life. Keep in mind, we recommend these products but it is always best to ask a veterinarian about the best products for your dog’s size, age, and activity level. Searching for and choosing the best breeder of Czech German Shepherds can be exhausting and overwhelming. First and foremost, search for a breeder with a clear breeding program, clean indoor facilities, well-nourished dogs, bloodline records, medical records, and health certifications. Check the breeder’s reputation and record of healthy puppies. The health, working ability, and temperament of the puppies should be the breeder’s main concern – not the profit. A good breeder will be able to openly talk about bloodlines, health history, temperament, and purpose. If s/he hides any of this information or avoids your questions, do not trust them. Many Czech German Shepherd breeders are located in the United States, Czech Republic, Slovakia, and Germany. Breeders in the Czech Republic, Slovakia, and Germany are highly regulated for good health and strong bloodlines. A breeder with health clearances and a clear breeding record from one of these countries may cost $500 to $1,500 or more per Czech German Shepherd puppy. Breeding of Czech German Shepherds has changed from the original need for border patrol to the family pets of modern times. Modern breeders look for characteristics such as a docile personality that is happy to spend most of the day curled up instead of needing exercise. A Czech Shepherd like this may also thrive around people and social situations. If you are looking for a Czech German Shepherd that is bred like the original working dog, check for a bloodline that is strictly regulated for Czech German Shepherd Dogs. This will ensure the closest characteristics to the original working dogs of the 1950s in the Czech Army. Keep in mind, a Czech German Shepherd that is this pure in lineage in the working line will cost thousands of dollars. One caution to take when locating a Czech German Shepherd breeder overseas is the method of bringing that puppy home. Some people locate breeders from a distance and ship the puppy via commercial flight to their country of residence. Please be advised – we do not recommend shipping your puppy alone on a commercial flight. The risk of loss, injury, or death is far too high. As a puppy, airlines are not required to report the puppy as dead or injured because it is not yet classified as a pet. How would you feel if you spent $1,500 on a puppy, it never arrived home, and went unreported? While it will cost more money, traveling to the breeder and personally bringing the puppy home is the safest option. Czech German Shepherd breeders to avoid are unethical in their care of the parents and puppies. These puppies may not have been bred properly and may grow up with health or temperament issues, such as disabilities, cancer, chronic diseases, or aggression. Never buy a puppy from a puppy mill. You may think you are helping the sweet little Czech Shepherd puppy by bringing it to a good home, but you are only encouraging the bad breeder to build their puppy mill. Ideally, you will find a Czech German Shepherd in a rescue shelter. Some dogs get separated from their owners by accident and end up needing a new home. Look for the Sable coloration, large size, and alert focus to know if the dog is a Czech German Shepherd. Rescue dogs cost significantly less at approximately $50 to $500 to cover adoption fees. We do not recommend specific breeders of Czech German Shepherd puppies. It is best to do your own research. We hope this article is of great help in your education of Czech German Shepherds. Please keep in mind, this article is not exhaustive and is not a replacement for regular veterinary checkups. Please study the breed to full length. Understand the dog’s needs and consult with professionals before purchasing a puppy or adopting a rescue dog. We can recommend, however, a few books to help with your education of the Czech German Shepherd. While books specifically about Czech German Shepherds may be hard to find, a book about all types of German Shepherds will be incredibly helpful since all German Shepherds are quite similar. Liz Palika and Terry Albert published a month-by-month guide of raising a German Shepherd puppy. By reading this book, you will be able to better understand your puppy in each stage of his life. Horst Hegewald-Kawich and Ginny Altman published this complete pet owner’s manual on German Shepherds. This book teaches owners all they need to know about the care of German Shepherds, from feeding to healthcare to housing. For a simple and straightforward guide, D. Caroline Coile published a book for dummies about raising a German Shepherd. This reference for the rest of us teaches more than what we thought we knew from watching Rin Tin Tin.